We have all arrived home safely by now and we have to say: Harry Potter Festival Odense​ in Denmark was a great experience for all of us! We shared love, pride, and joy, and aside from that the Flying Dutchmen also brought home a trophy for placing first. The Dutch team ended up winning five out of six games during the tournament: winning against Iceland, Czech Republic and Poland on friday, and Slovenia and Denmark on saturday. The last match against Ireland was a tough one, and a deserved win for the Irish team. We’re ready for a rematch already! 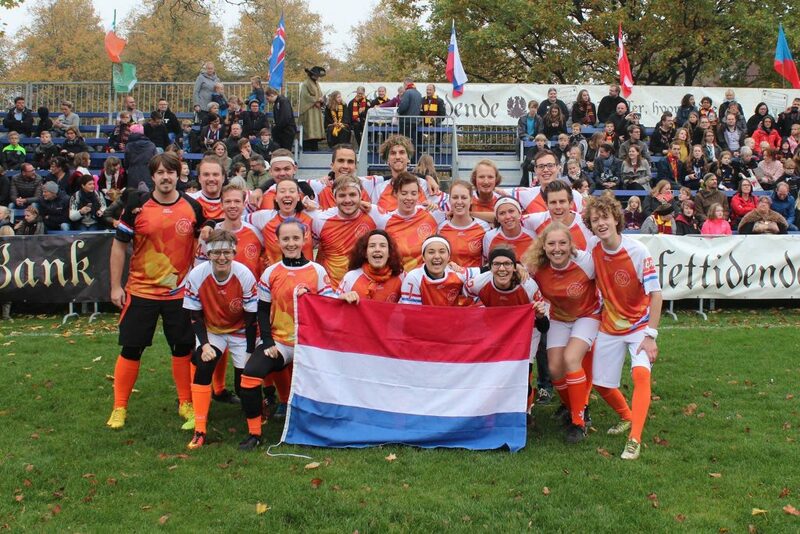 If you missed our matches, you can find the livetweets about all of them (and the way there and back again) on our twitter at @NLQuidditch, and our Denmark game on the livestream as published on facebook.